Hello! My name is Torben Pless. I have lived in Ghana for half a year and worked in an orphanage. During this time I fell in love with the country and the people. 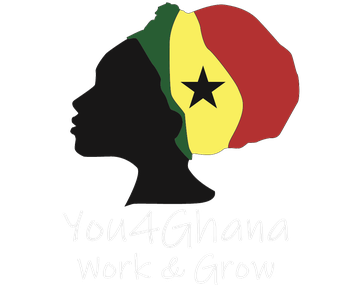 After returning to Germany, finishing my engineering degree, and further visits to Ghana, I founded "You4Ghana" together with my good friend and former host father Fiifi because there are still many places where support is desperately needed. In this section I introduce our awesome team, which will make your stay in Ghana unforgettable. Fiifi is our co-ordinator in Ghana. He is responsible for managing the volunteer house and your welfare while staying with the host families and participating in the projects. He is your first point of contact for questions and problems. Princess and Issac are Naana’s and Fiifi’s children. They are professional chocolate eaters and responsible for waking up late raisers. Naana is responsible for your physical and mental well-being. She cooks a variation of European and Ghanaian food so you can get used to the Ghanaian cuisine. She is always there for you in case of sickness and other concerns. Torben is responsible for the coordination in Germany and all administrative tasks. He is in constant contact with Naana and Fiifi, the host families, and the projects. Periodically, he visits Ghana to get a first-hand look at the state of things. Osei is responsible for your pick-up from the airport and will give you a briefing on the life in Ghana on the ride to your accommodation. He also brings all volunteers to the desired destination when going on a (day) trip. Zipporah supports Naana with all her work. She is the heart and soul of our team and is always there if you have any questions or problems.